It’s been a few weeks since my last brewery update. Where it was last left is that I was waiting on the Summit County Department of Building Standards to review some submitted material. It took about three weeks for this to happen. At about week three I called the ‘Akron Permit’s and Planning’ office to see what the holdup was as on the website it says two weeks – this is a satellite office in the Summit County Building Department. A very nice girl, Alley, answered me on the second ring and gave me all the information I needed. Later that day my stuff got kicked over to Summit County. THAT is how a department should run – you call, you get the information you need when you need it – I even got an email confirmation of this. I applaud Akron’s satellite planning office for being so responsive…I needed this about nine months ago – where were they? This was actually my first direct contact with a building department, finally. Anyways, Summit County did an initial review last week and came back with a list of items that need clarified and/or dealt with. Most of them are easily dealt with. There are a few items that I have to go back to plumbing/mechanical and electrical for some input and possible changes. So this was very positive. YAY! As of this moment I’m just waiting on people to get back with and coordinating things on a few small issues (if you are a commercial plumber or mechanical person and want to help and get this thing up and running quick, contact me – I may need you if my other calls fall through). *Updates: I believe from this post that I got a few trades ready to help out with the remaining issues next week. Thanks again! Once these issues are clarified and resubmitted, and then approved, things should cascade quick – within a month from what I have been told for me to get that very elusive ‘occupancy’. We are ordering tables and chairs now. We are finalizing our glassware and ordering those. We are finishing the final kitchen items to submit that to the Health department (again, once we have occupancy as the Health department won’t sign-off unless the building department does). I may have some actual, definitive timelines in a week or two. I will now be in another waiting game of getting more information, resubmission, waiting on a re-review, then final inspections, etc. Again, I apologize to all those that have been waiting. 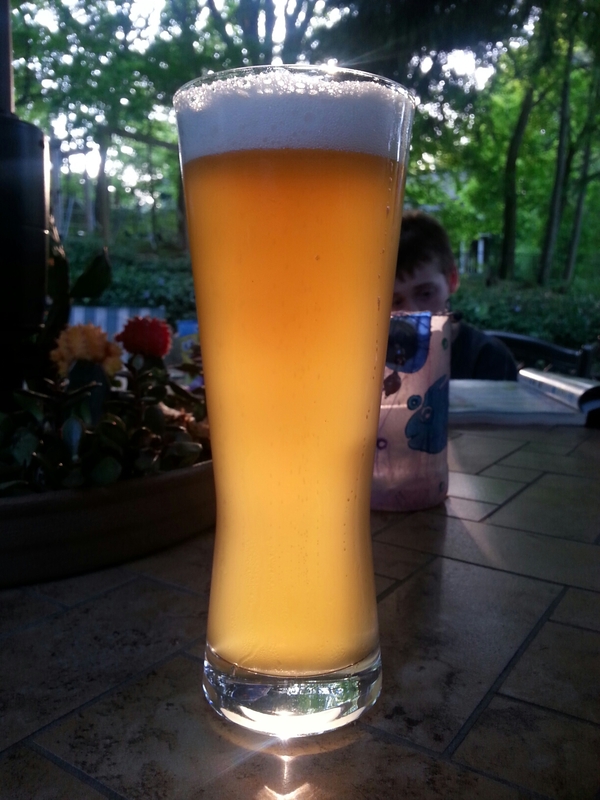 In the meantime, enjoy a few of my beers at the new Mustard Seed in Highland Square. I’m really trying to get, at least a small taste of something out to you until I can officially open my doors. It’s not my intention to lead you all on. *I did remove a chunk of this post after posting it…I’m just at a level of extreme frustration where my emotions got the better of me and I may have been too critical, which may be counterproductive, when I’m this close. I will remain patient with the process and people and hope I don’t have to put what I took down, back up. 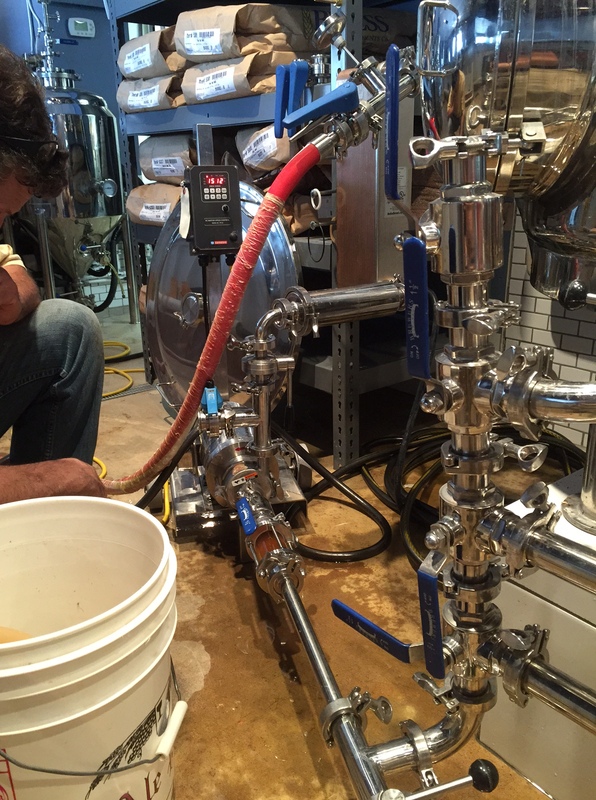 I made a big fix in brewing hoppier beers last week. 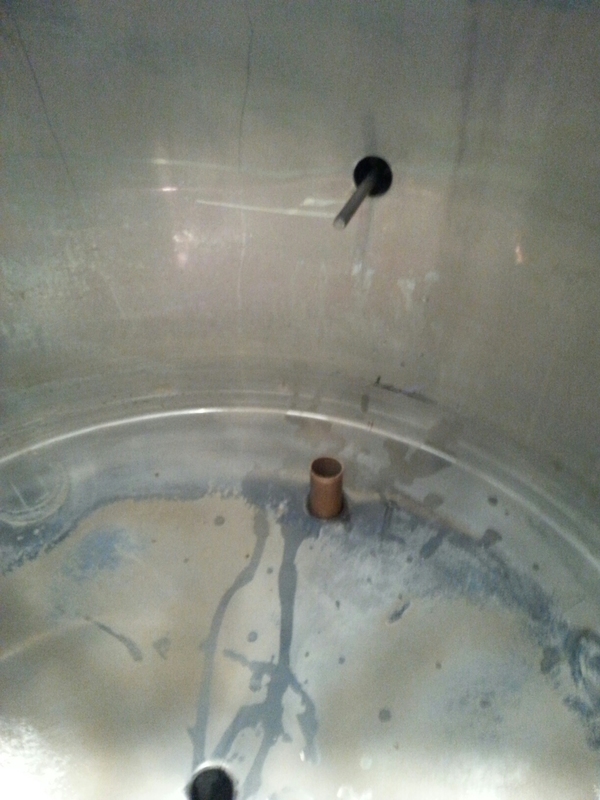 With the help from John, I installed a three inch piece of copper pipe where the boiled wort exits. This will keep the hops from clogging up my filter and heat exchanger. Plus yeast like a very small amount of copper – it’s a needed trace element. I also moved my trub filter directly off the heat exchanger. (See horizontal cylinder middle of screen) The trub filter collects precipitates and hop sediment before it gets to the plate heat exchanger. I also have a diverter to get rid of the first ‘plug’ of junk – the stuff that just settles in the new copper tube. 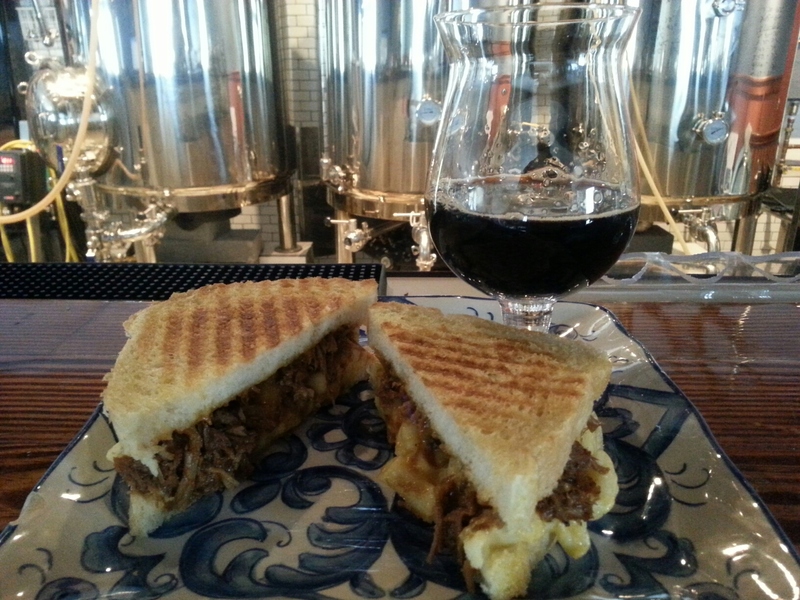 My wife did some pulled pork and macaroni paninis. I had them all week. THAT is good with beer. Mmmmm. I’m a mechanical engineer in Akron that does building design all over the US, there isn’t a day that goes by that I’m not filling out a response letter to a building department or changing designs to meet their city specific requirements. Hope you get it up and running soon. I’d like to stop in and check out your brewery. Good luck!